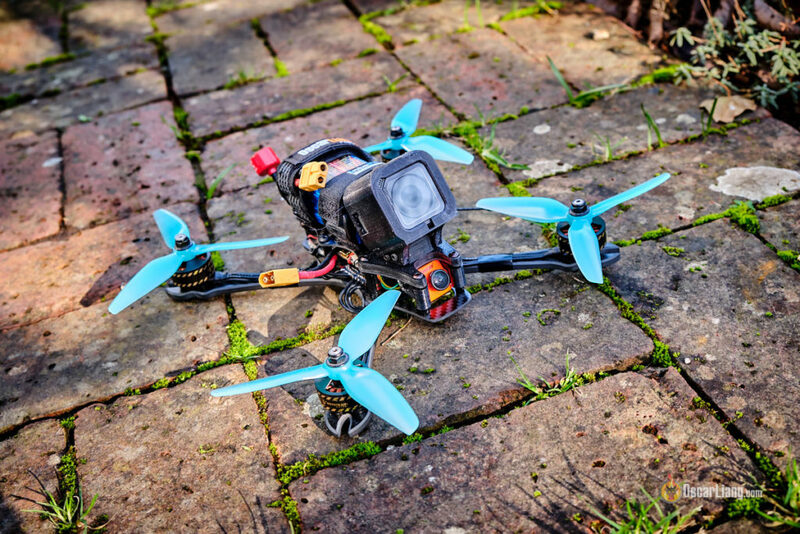 Learn more about mini quad frames. 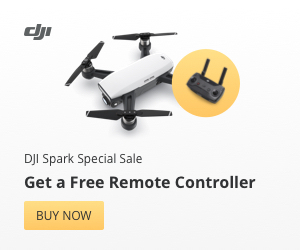 The Strix Freestyle frame is in the same price bracket as those from Banggood, it has to be one of the cheapest freestyle frame you can find outside of China. I love the simple selection of hardware, no confusing assembly! However I do think it would be helpful to include a printed manual. The Strix Screech frame is a “True X” design, meaning it has equal width and length, which is 165mm. The motor to motor distance (wheelbase) is 235mm. I would consider that quite a large frame for running 5″ propellers, but I later learned that it also takes bigger 5.5″ props as well! This is a low deck frame, with only 20mm height between top and bottom plates. That’s not a lot of space, so you have to watch out what goes into your FC stack. It’s barely enough for an FC and 4in1 ESC. It is however quite a long body so there is plenty of room for other components. The edges of the arms are nicely chamfered, with extruded tips to protect the motors in crashes. However the top and bottom plate are left with sharp edges. I wish they at least sand down the LiPo strap slots to prevent cutting LiPo straps in a crash. You can easily do this yourself – here is a guide on how to chamfer carbon fibre edges. I do love the fact that the slots are wide enough to even fit thick Kevlar straps. By the way, there is no LiPo strap slots in the bottom plate, indicating the frame is designed for top mounted battery only. The camera mount is simply made up of two 3D printed TPU plates (3mm thick) that slide onto the front standoffs. There is clearly room for improvement when it comes to print quality, but it is functional and good design nonetheless. It takes both micro and mini FPV cameras, mounted by 4mm M2 screws which aren’t included in the frame kit. Luckily these normally come with Runcam’s cameras. Total weight with GoPro Session 5 and 4S 1300mAh LiPo: 600g. Dry weight 450g. The GoPro mount was included in the Kit when I get mine, but they are not going to provide it anymore with the kit. I think you might be able to purchase this separately on RMRC’s site. I will upload some footage soon.